Major Chinese news portal 163.com is reporting [Google machine translation] that Apple has finally signed a deal with China Unicom to bring the iPhone 3G to mainland China in October. This is huge news for Apple, which is now to enter a market with around 700 million mobile phone users, the biggest in the world (US: around 270 million). Following months of negotiations between Apple and China Unicom, “industry insiders” are reportedly expecting an official announcement to be made by the country’s second biggest mobile telecommunications company tomorrow in Hong Kong. Chinese users will get the iPhone 3G with 8GB for $365 with a 2-year contract and a monthly rate of $27 (minimum). The Wi-Fi function will be disabled initially but may be added in the future, along with China’s homegrown WAPI (WLAN Authentication and Privacy Infrastructure) standard. 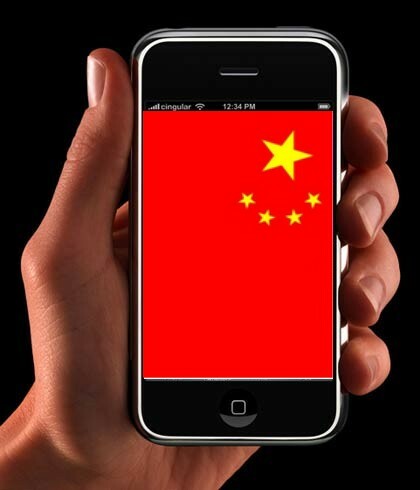 No word yet on the iPhone 3GS for China, but this may happen very soon, too. 163.com already shows [Google machine translation] a picture of what appears to be a Chinese model with a specific serial number (A1303) reserved for the 3GS. It will be interesting to see how Dell will react to Apple’s move with its China-only smartphone “mini 3i”, which is neither priced nor dated yet. Read more about the China-iPhone in English here.